WikiLeaks founder Julian Assange speaks to the media from the balcony of the Embassy of Ecuador in London, May 19, 2017. Full stop, please. 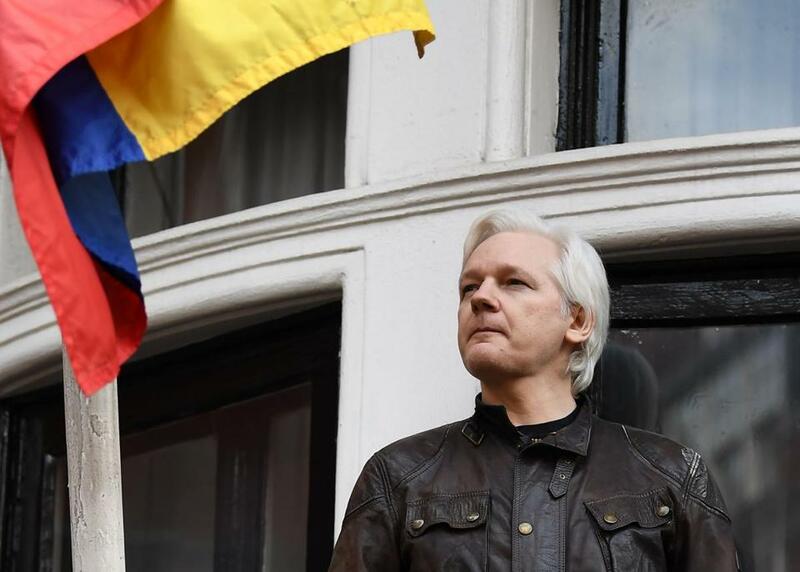 Assange is many things: swashbuckling egotist, gleeful disrupter of the status quo, unwanted guest of the Ecuadorean government holed up in its London embassy. But a hard-working journalist he is not. Quite apart from the question of whether the United States should prosecute Assange for publishing classified government documents — and I think it would set a dangerous precedent at a time when press freedoms are under attack by the president himself — we need to draw some distinctions between his methods and those of mainstream reporters. WikiLeaks receives and distributes raw data, some of it damaging personal information of no legitimate public interest, and then sits back and enjoys the fallout. Although Assange is a hero to many who advocate government transparency, and although he won Australia’s highest journalism honor in 2011, to my (admittedly old-school) mind, he’s an activist. His aim, he says, is to disrupt “authoritarian conspiracies” — pretty much as defined by him. At his best, as in 2010 when WikiLeaks released devastating classified military documents showing chaos in the Afghan war effort, Assange joined with traditional journalists at The New York Times and The Guardian of London to independently verify and redact or edit the transcripts. When those media partners reported what Assange felt were unflattering profiles of him, or disclosed sexual assault allegations brought against him in Sweden, he broke ties with them and threatened to sue. Assange doesn’t generally do the tedious work of cross-checking documents, interviewing sources, seeking official responses, and providing expert analysis. That isn’t the WikiLeaks model. He and his staff are more like couriers. Mueller alleges that Stone was dispatched by the Trump campaign to ask WikiLeaks about its plans to release Democratic Party e-mails stolen by Russian government hackers. To call Assange a journalist is like calling the person who stole the Vermeer from the Gardner Museum an artist. Those who draw parallels between WikiLeaks and the Pentagon Papers — the 1971 case in which Daniel Ellsberg delivered stolen documents about the futility of the Vietnam War to the Times, The Washington Post, and others — make the wrong comparison. Ellsberg was just the source. No one claimed that he was a journalist, and he was indicted on espionage charges which eventually were dismissed due to trial misconduct by the Nixon administration. 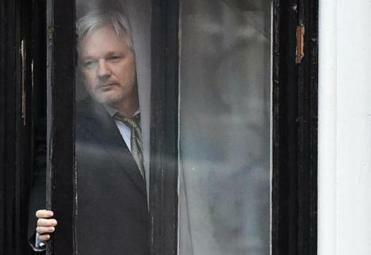 Julian Assange: Bad guy, yes. Criminal? Not so fast. Prosecuting the WikiLeaks founder could establish a dangerous precedent in undermining freedom of the press. Yes, WikiLeaks has been declared a media organization by a tribunal in the United Kingdom, strengthening the claim that Assange deserves protections afforded working journalists, but US laws regarding press freedom are different from Britain’s. Well beyond WikiLeaks, with Internet “doxing” on the rise, traditional media outlets in the United States should clarify their own standards for reporting on material whose provenance may be tainted or unknown. This has been a brutal few weeks in a brutal decade for journalism. Not just mainstream organizations like Gannett but new media sources such as BuzzFeed and Huffington Post, which laid off more than 1,000 staffers among them. Local news outlets are disappearing. And every year grows more deadly for journalists working overseas, with the number of reporters targeted for murder nearly doubling in 2018. The tactics employed by Assange — which blur or eliminate the lines between news, propaganda, activism, and spying — only embolden true authoritarian regimes to imprison, torture, and kill journalists. Let’s focus on protecting them.